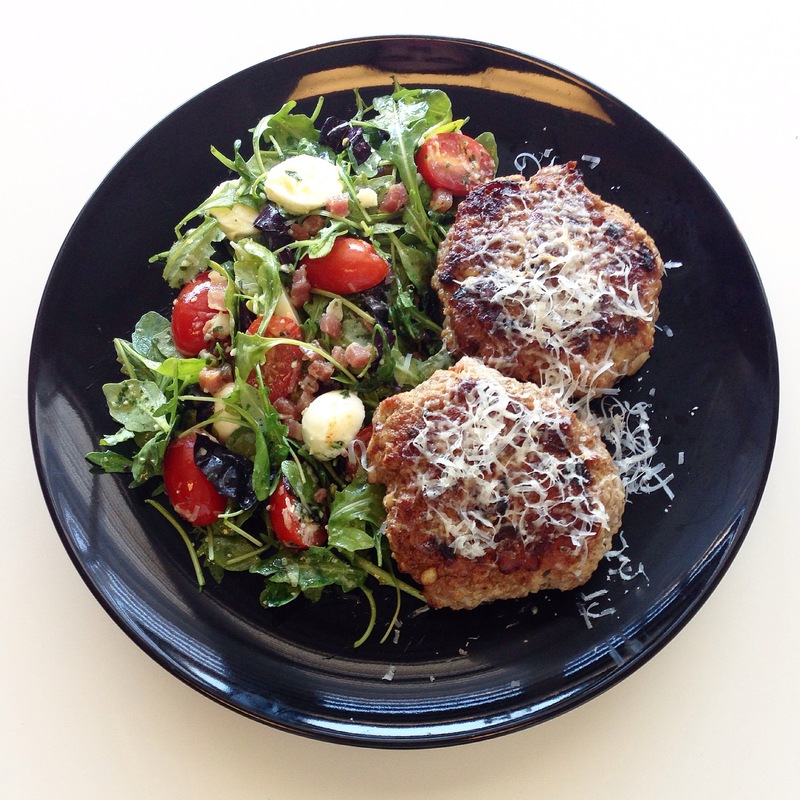 Feel the Amore: Italian Turkey Burgers with Caprese Arugula Salad – Pao Says, "Open Wide!" Between my awesome patient bringing me the freshest basil ever and one of my best friends recently getting engaged to her sweet Italian hunny, it’s no wonder I was in the mood to put an Italian twist my next dish. Burgers have the easiest process. Just toss everything into a bowl and mix it up with your hands. Form into patties. Cook them over med-hi heat- about 5 minutes per side. Once they’re done, sprinkle some parmesan over them for a melty, salty, awesome touch! Dressing: 1 tbsp pesto, 1 tsp lemon juice, 2-3 tbsp olive oil- mixed together for best dressing ever. stack your basil leaves, roll them up length-wise, and run your knife through them, creating strips of basil. Toss them on top of your beautifully assembled salad. Toss your salad with that awesome simple dressing you just made. Done- that was fast! If there is one thing you decide to finally make from this blog, this is among the simplest and most delicious… I’d go for this recipe. Bon Apetito!